The capacity of a cooler greatly depends on the supplies that you need to carry with you. While personal use, on the other hand, doesn’t require much space, a medium sized backpack or small cooler would do. While, Reunions whether family or friends, for examples, requires additional food, beverages and much more. And thus a bigger cooler. 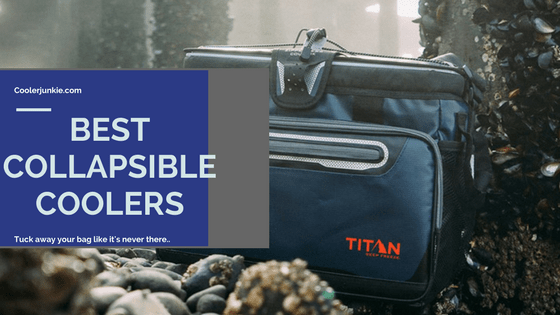 The coolers in this review, are, however, perfect for a trip of up to five days or more, which demands a lot of supplies. When it comes to hunting trips, camping trips, large coolers have certain advantages over small & medium coolers; they give more storage space and organization. 2 Buying a Large Cooler – What is Important? Believe it or not, the size, space, and quality are what you should look for when buying ice chest. Today, we are going to reveal the top 10 Giant coolers that fit these criteria’s to help you choose the cream of the crop. Orca coolers are one of the best cheap alternatives to Yeti. And they’ve participated in manufacturing a lot of high-end coolers in the market. So, when we first heard of the ORCA 140-Quart that’s rotationally made with tough materials, we were excited to add this great product to the list. The model we are looking at has a 140-quart capacity which can hold up to 200 cans. While you still have enough space to pack other supplies like food, beverages and fill it with ice. For those wondering about other sizes available, the ORCA 26 – 140 quart. Rest assured, ORCA has made sure that users find a perfect fit to their needs. With that said, this cooler is out of durable, rotomolded construction, certified as grizzly resistant; you’d never have to fear of animals breaking into the chest. 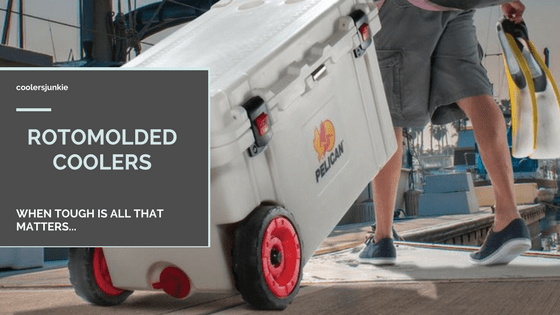 The best part about this large ice chest is that it is built with a 3 inch of insulation, plus lid gasket and robust whale rubber latches to keep the lid sealed at all times. Also fitted with a flow drainage plug, water is completely purged out, and the result is longer ice retention period. If you are the type that wants to carry some accessories on trips, the ORCA also comes with an external compartment where you can store away valuables. 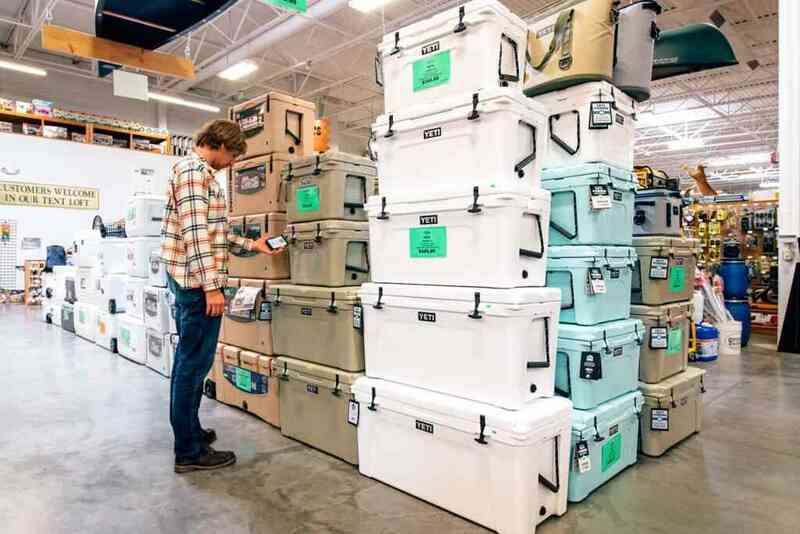 Overall, the ORCA 140 is perhaps the best giant sized cooler on the market; the build is rugged, spacious size to fit in all you need for a week-long trip, great insulation and affordable price. The next large cooler we are looking at is from Pelican. Another Yeti competitor, the pelican is built to survive through harsh weather conditions. It also features Tie downs, non-skid rubber, non-slip feet, and it’s also corrosion resistant, making it a perfect boat cooler. Also available is measurement on the lid, meaning you can measure the length of your catch. Needless to say, the Pelican will make a good fishing cooler. Reinforced with press and pull latches, freezer grade gasket and polyurethane insulation, the cooler will keep your food and drinks cold for up to a week. On the impressive side, the pelican utilizes a drain plug which can be fixed to a hose for complete water drainage. Last but not the least, dual handle system made of comfortable rubber grips makes it easy to lift the pelican on/off a car or boat. 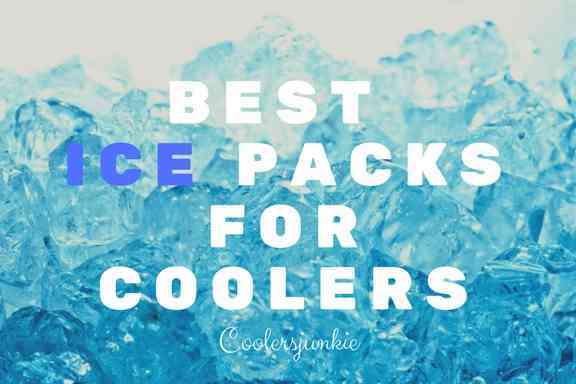 Now when it comes to large ice chests, the market is filled with many giant coolers, however, finding an affordable and sturdy one is difficult. The good thing with the Coleman is not only it is large but extremely affordable compared to the other chests on the list. Lugging heavy coolers has never been easier, you’d be glad to know the Coleman is a wheeled cooler. 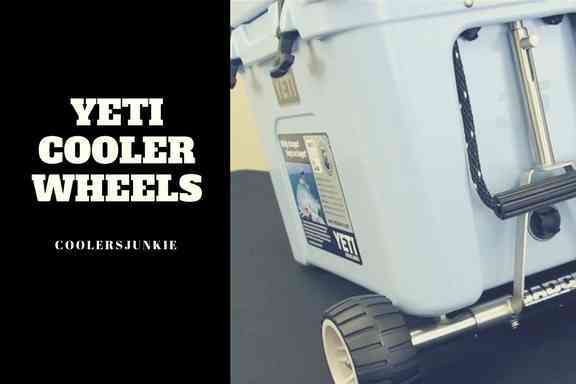 Easier than ever, you can roll the cooler over sand and tough grounds. Additionally, two-way handles are attached to the sides for easy carrying. Yes, the grips are made of rubber which is easy and comfortable in hands. Coleman provides a hard lid you can easily sit and relax on. This feature is handy for boaters, especially when the boat is cramped, you’ll never lack a place to put your butts to rest. This Giant cooler can hold up to 160 cans, while there’s still enough space to add extra supplies. It also has 4 cup holders, simply store your drinks or accessories without the stress of lifting the lid. The igloo super tough cooler is not only strong but aesthetically alluring to anyone that sets eyes on it. Take my word in its weight in Gold. The igloo tough STX comes in white with stripes of red on the lid blending seamlessly to the cooler. Not only is this product adorable, the bolt through body, heavy duty gasket, and the rugged shape means it can take any abuse. 4 cup holders molded into the lid enables users to access drinks without groping into the cooler. A fully foamed lid is utilized to keep the cold in, while your stuff remains cold. The stainless steel lid straps prevent the lid from slight openings, as a result, you can get up to 7 days ice at 90 degrees F.
Just like the Pelican 95, we reviewed earlier, the Igloo STX too, has a measurement scale in the lid to measure your catch. Everything is almost perfect; however, some users mentioned the lid allows water in and the latches burst after a short period. This Yeti cooler is expensive than most of the coolers on the list. 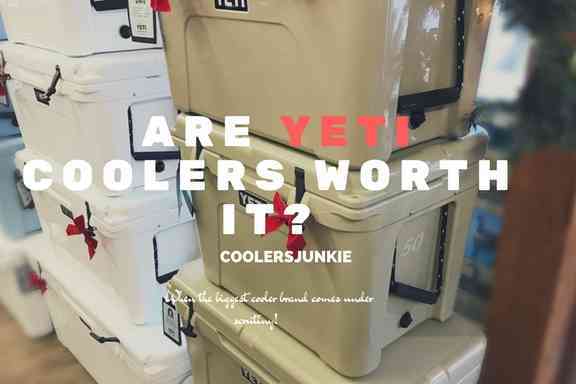 So it begs the question, are yeti coolers really worth it? Well, you’ll you have to find out for yourself. Now the Yeti tundra made of rugged rotationally molded plastic, practically making it resistant to harsh conditions. With up to 3 inches of permafrost insulation around the walls, your food & drinks will remain frozen for extended periods. Yes, it also has a no sweat design which enhances the cooler to keep the moisture in, while the exterior remains dry. The non-slip base helps keep the cooler from sliding off. That said, military-grade polyester handles are employed to make lugging as comfortable as possible. Airtight gasket and a superimposed lid latches hold the ice for days. Of course, the cooler is tested to retain ice for 5-7 days. Not bad! In all, the Yeti is quite heavy even when empty, and this might be a turn off for some. But, if you are searching for a large cooler that can hold ice for days, endure a beat and still give you the same insulation performance, then look no further. Buying a Large Cooler – What is Important? 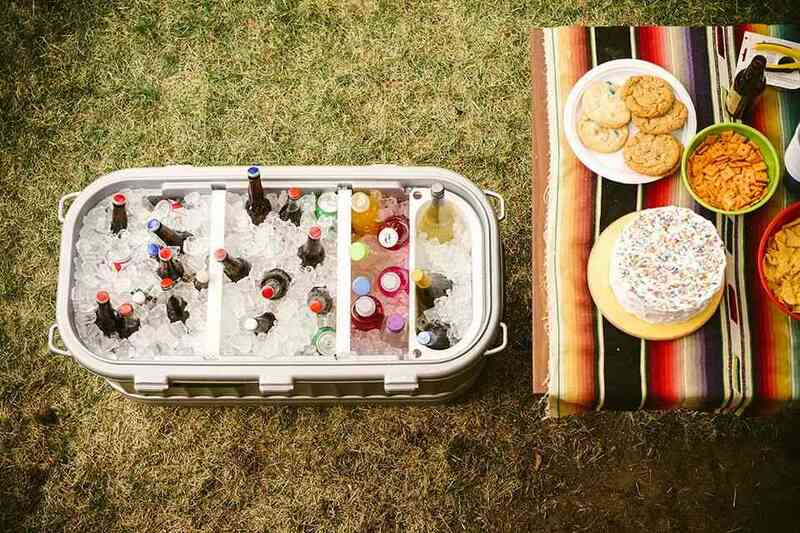 You want to buy a giant-sized cooler, any ice chest from 120 quarts will do, right? No! 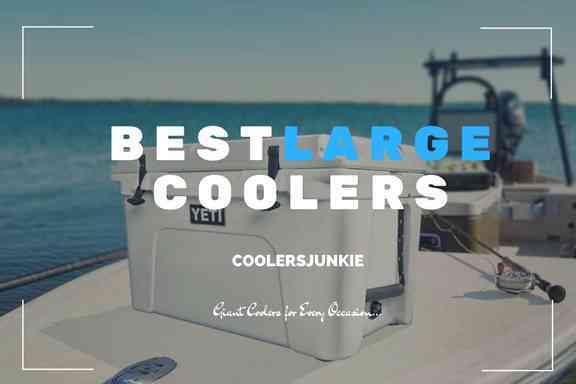 When it comes to choosing the best giant coolers, there are some things you need to know. Apart from the fact that you need to know the size of the cooler, you also need to check if the product is ideal for your needs. A Lightweight gear decreases the energy demand when lugging the cooler around, And thus allows you to lift with ease than with heavier cooler. As ice chests are not the lightest of equipment, especially the rotationally molded ones, a lightweight product can make a big difference. While the feature to look out for in large coolers is their weight, don’t forget rotomolded coolers are mostly bulky as a result of their thick walls build. 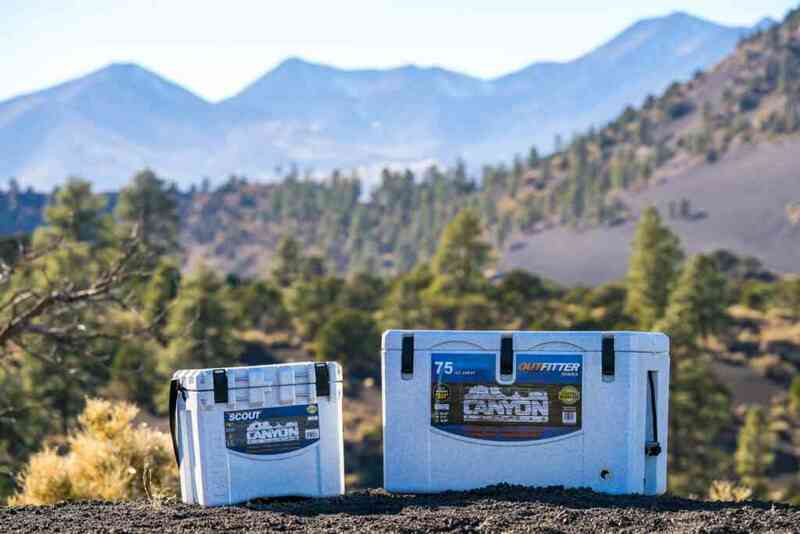 In this review we’ve included both lightweight and rugged massive coolers. Believe it or not, the capacity of a cooler is not just about its quart size, but how well space can be managed to store lots of drinks, foods, and beverages. Preferably, choose a cooler that has lots of compartment. This can help you organize your gears without mixing things up. 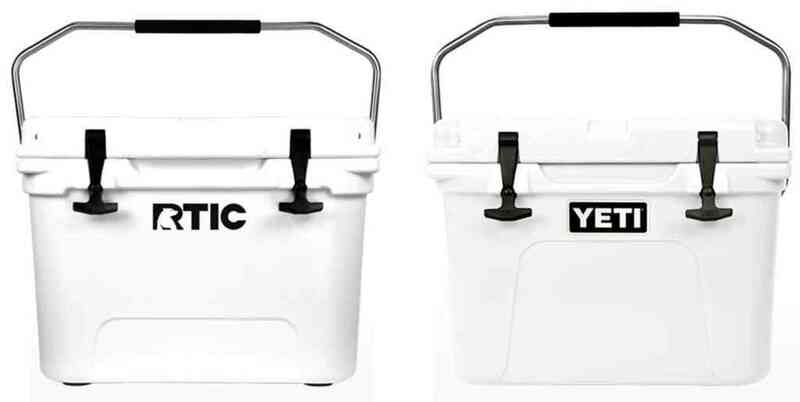 Now when it comes to large coolers, based on our categorization, anything within the range of 45 – 150 Quart is large. However, it is not wrong to say; don’t ever sacrifice quality for space. Keep in mind that all the coolers on the list were specially handpicked to possess both strength and high insulation performance. 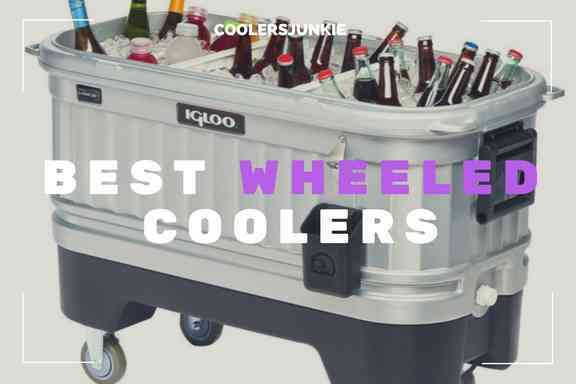 While there are many big coolers on the market, the ones we picked includes some features you’d find on any regular cooler. If you consider all these points made above, we are positive that you’ll find the best large cooler for your needs. 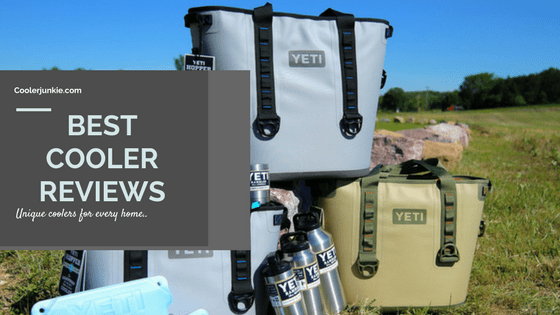 Next ArticleTop 5 Best Stainless Steel Coolers – Never Run Out Of Fashion!